Belvedere is a tiny city, less than one square mile in size, surrounded on three sides by the waters of San Francisco Bay. 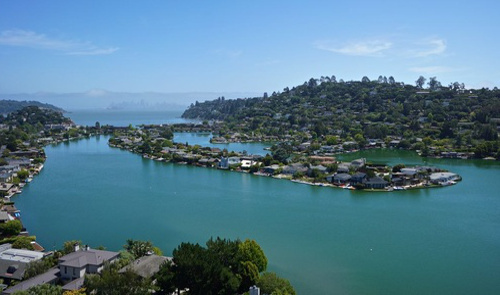 The population of just over 2,000 are clustered in three neighborhoods: Belvedere Island, Belvedere Lagoon, and Corinthian Island. The city is completely built out with single-family homes and approximately 100 rental units. The terrain is predominantly hilly and lush. Many residences were designed by famous architects and are considered historically significant. There are spectacular views of San Francisco, Angel Island, the Golden Gate Bridge, Sausalito, and Mt. Tamalpais, but no public beach or boat launching area.